Budding lifeguards are invited to join an accredited course at Derwen College this summer. Swimmers looking to add to their sport and leisure skills or considering a change of career, can gain an industry qualification in one week at the specialist college near Oswestry, in Shropshire. 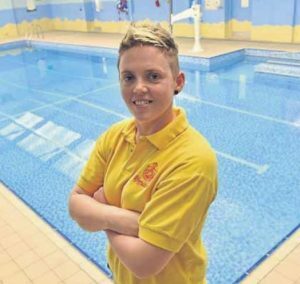 The course, run by the college’s national award-winning lifeguard Kelli Smith, is an excellent foundation for a career in the leisure industry and for sportsmen and women involved in any type of water sports. Covering 37.5 hours plus an external assessment, the course qualifies individuals to work as a lifeguard in a public pool and costs £199. 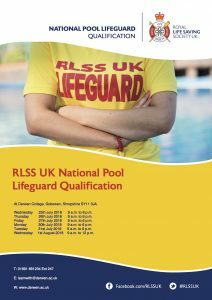 The NPLQ course is recognised by all the professional bodies in leisure, and will help employers and operators meet their legal requirements to provide qualified and competent lifeguards. The skills and knowledge gained are also valuable outside of work for anyone involved in water sports and may help save someone’s life. The course that we run at Derwen College includes training to use an Automated External Defibrillator which we find most employers look for when hiring new lifeguards. The course includes training to use an Automated External Defibrillator, a valuable asset that many employers look for when hiring new lifeguards. Volunteers from Derwen College were out in force to help out at this year’s Shrewsbury Half Marathon. Ten volunteers from the specialist college were given the task of handing our medals to all the runners who took part, and giving them refreshments as they came over the finish line. 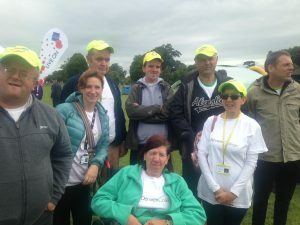 This is the first year that Derwen College – a residential and day college for students with learning difficulties and disabilities – has helped out at the popular event, and each volunteer said they thoroughly enjoyed the experience. 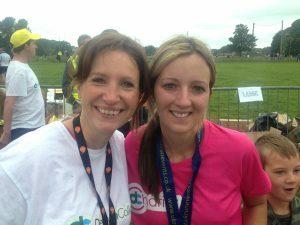 More than 2000 runners signed up to run the Shrewsbury Half Marathon, two of whom were running to raise funds for Derwen College. Georgi Cleveley from Shrewsbury and Katie Griffith from Morda, near Oswestry, completed the run and were presented with their medals by Derwen College volunteers. Georgi has already raised more than £500. Well done to both runners! Derwen College picked up the award for Outstanding Student/Learner Experience at the Tribal Empower Conference this week. Joy Rush collected the award and said she is surprised and delighted that Derwen has won this. The award is for the institution/organisation that has done the most to improve the positive experience of their students or learners through the use of technology. Examples of this could be increased engagement through the introduction of smarter recruitment processes or the introduction of a personalisation strategy. We have also heard this week that the Student Union Board has been shortlisted for the Democracy Award and Sarah Laszlo is nominated for the Simpson King Staff Achievement Award in the NUS Awards. Good luck and we look forward to hearing the results! 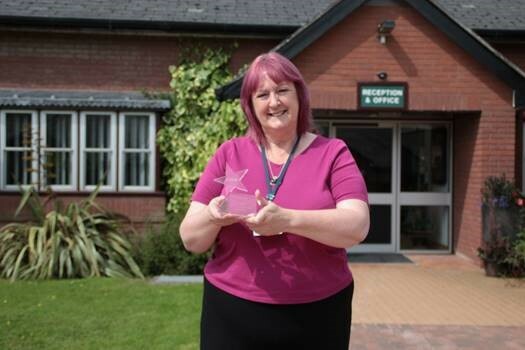 Pictured above – Joy Rush with the Outstanding Student /Learner Experience Award. by way of sale of the freehold. The property to be disposed property/land is held on designated charitable trusts. 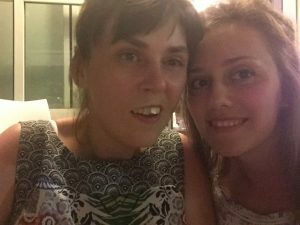 Georgi, from Shrewsbury, will be tacking the 13.1-mile course in aid of the specialist college where her big sister Charlotte is now in her final year, having learnt independence and work skills and made many new friends. Georgi is running for Derwen College, in Gobowen, near Oswestry. 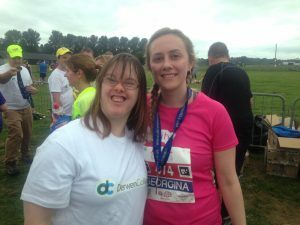 She is running in aid of the specialist college for young adults with learning difficulties and disabilities raising money for new therapy and fitness facilities to benefit students including a hydrotherapy pool. Georgi has so far raised more than £200. Georgi, who works at Specsavers in Shrewsbury, saw the request for Derwen runners on the Facebook page. The 22-year-old hasn’t done much running before but used to play sports at school including football and hockey. She continues: “Charlotte has been at Derwen since leaving school and has really benefitted from her time there. Our family were really nervous about Charlotte leaving Severndale School, in Shrewsbury, as she had been there for 17 years and moving on to Derwen College seemed a huge step, especially as she would be living at Derwen in term time. 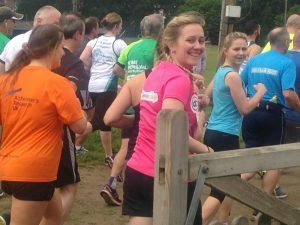 She will be joined on the day by Morda Primary School cook Katie Griffith who is also running in aid of Derwen. Derwen College is a specialist college for young adults, offering learning, independence and life skills for residential and day students. Students from Derwen College will be supporting runners and handing out water and medals at the end of the run. Shropshire cyclists are being urged to get on their bikes, trikes or tandems and pedal their way to Derwen College’s Garden Cafe next week for a well-deserved treat. To mark Bike Week 2018, visitors to the café at the specialist residential and day college in Gobowen arriving on their bikes will receive a free hot drink and a home-made energy bar for their efforts. Bike Week 2018, which runs from 9th-17th June, sees events happening across the UK with the aim of getting everyone – young and old – to dig out their bikes and take to the local roads and trails, whether cycling to work or enjoying a day out discovering the Shropshire countryside. From experts out on a 20-mile ride to beginners removing their stabilisers for the first time, all are encouraged to join Derwen for Bike Week. The college even offers a flat path around the sports field which is ideal for little ones learning to ride for the first time. Students will be marking the event during their weekly bike club on Monday 11th June with a cycle around college grounds from 5.30pm-6.30pm. The college is also taking the opportunity to thank seasoned cyclists who have raised money for the college using pedal power. Last year, two brothers and their best friend cycled from London to Paris to raise money for Derwen College’s fitness and therapy facilities including renovations to the swimming pool. Known as ‘The Reliant Robins’, Max Pettifer, Elliot Pettifer and Matthew Weston tackled the 300-mile ride over four days in September last year raising £2,875 towards Derwen’s fundraising appeal. Marketing & Business Development Manager Tonia Davies said that the college had a lot to thank cyclists for and wanted to encourage more people to take to the saddle during Bike Week. Derwen College is a specialist residential college for young adults with learning difficulties and disabilities. The college provides work experience for students in its leisure and shopping area that includes the Orangery Restaurant, Garden Centre and Shop, and Garden Café. For information regarding visiting Derwen College go to www.visitderwen.co.uk.